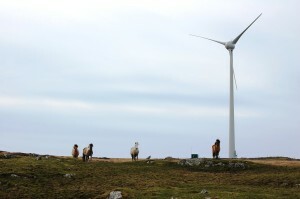 Tilley is a 900kw Enercon E44 wind turbine which was installed on the Ruaig Sliabh at the east of Tiree. 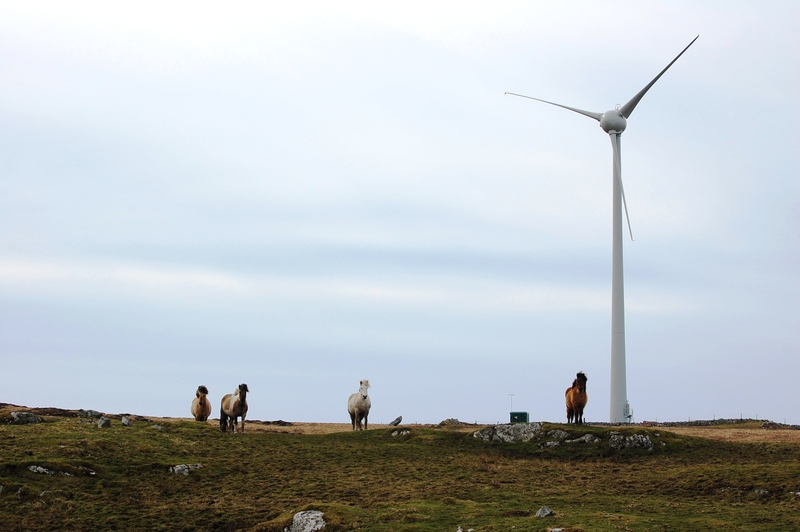 The principal motivation for the development of Tilley the turbine by TREL was to contribute to the financing of various projects proposed under the island’s development plan by harvesting Tiree’s most abundant resource. Tiree’s status as one of the windiest locations in the UK makes Tilley one of the most efficient turbines of her type in the world. How long will it take to pay off the borrowing? Co-op Bank loan will be paid off by the end of August 2022. A loan from the Trust will be paid back by January 2025. Can Tiree use the power from the Turbine? Tiree currently uses power from Tilley when there is a demand, however when demand is low power is exported to the mainland via the sub-sea cable. Without the ability to export through this cable Tilley cannot operate at full power. At the time of the initial application to Scottish Southern Energy, there was less than 1MW of export capacity available. A single turbine was considered to be the most cost effective option given this limitation. How does the noise of the turbine affect nearby stock? Cattle and sheep now graze happily around the turbine site. Is the Turbine harmful to birds? Studies have concluded that 95% of birds will avoid collision in all conditions of weather and visibility. There have been no reports of bird strikes on our site to date.